This is the story of Paddington’s ghost train which runs for the last time today. The 11.35 to High Wycombe uses the New North Line out of Paddington towards the Chiltern Hills. London’s Paddington station is an attractive and practical place, its overall styling barely changed in the 164 years since it opened. The cast-iron-and-glass train shed with its Moorish accents is a gem. 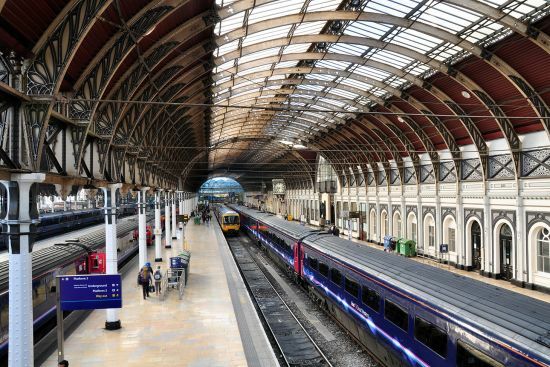 Paddington is a place to linger and watch the roll call of departures: Oxford nudging up against Bristol, Penzance chasing Bedwyn, the stopper to Reading and the express to Swansea. A total of 234 trains are scheduled to leave Paddington today. 233 of them will follow Brunel’s straight path west through Acton and Ealing. Just a single train will diverge from the main line at Old Oak Common. This is the story of Paddington’s ghost train which runs for the last time today. This is not an event which will draw great crowds, nor is it likely to get a mention in the mainstream media. At 11.35 this morning, a train will leave Paddington station in London for the Buckinghamshire town of High Wycombe. It’s a 45-km run out through London’s suburbs into the Chiltern Hills. Along the way the train will sweep past communities and suburban stations showcased in John Betjeman’s Metro-land poems: Perivale, Greenford, Northolt and Ruislip – all places where the front garden laburnum and privet hedges of Betjeman’s day were long ago sacrificed to concrete. Even many Londoners have never heard of the New North Line out of Paddington. It is a johnny-come-lately among London’s main-line railways. It only opened in 1905. The Great Western Railway (GWR) had initially set its sights on Bristol and the Southwest. But with those initial routes complete, Brunel’s planners and engineers started looking north towards the Midlands and the Mersey, wondering if perhaps they could challenge the rival route out of Euston. At the start of the last century, GWR was running half a dozen express trains each day from Paddington to Birkenhead (on the Wirral Peninsula opposite Liverpool). These were routed via Reading and Oxford to Birmingham and beyond. The opening of the New North Line in 1905 cut the corner, giving a much faster route via High Wycombe to Birmingham. For several decades the New North Line was an important main-line artery. It also carried commuter traffic to places in West London and Middlesex, although that disappeared with the extension of London Underground’s Central Line to Ruislip in 1948. Interestingly, it was GWR which laid the tracks from Acton to Ruislip which were then used by the Central Line. Many intermediate stations on the New North Line (NNL) closed with the opening of the Central Line. But not all: at Greenford the platforms on the NNL survived until 1963. Our 1961 Bradshaw shows just one NNL train a day serving Greenford: the 12.19 from Thame to Paddington which stopped at Greenford at 13.26. In recent years, the NNL route out of Paddington has become a railway backwater, served by Chiltern who operate just one train each direction on weekdays only. The line has never been modernised, so riding the route is like travelling back in time. It’s surely one of the few lines in Greater London where you’ll still see old-style semaphore signals. Latterly, the 11.35 from Paddington has run non-stop to High Wycombe, but today there will be special stops at South Ruislip, Gerrards Cross and Beaconsfield. The axing of the NNL route is because of work starting on Britain’s new high-speed route (HS2) to the north. That new line will use part of the old NNL formation beyond Old Oak. There’s some talk of the old NNL line being restored once HS2 is complete. The section of the line beyond Greenford will not be affected by the HS2 work – at least not for now – so that will remain open, served from next week by a new daily train from South Ruislip to West Ealing and a once daily West Ealing to High Wycombe service.